The first-ever RunGood Main Event in Bossier City drew a great crowd of 392 total entrants over three starting flights. 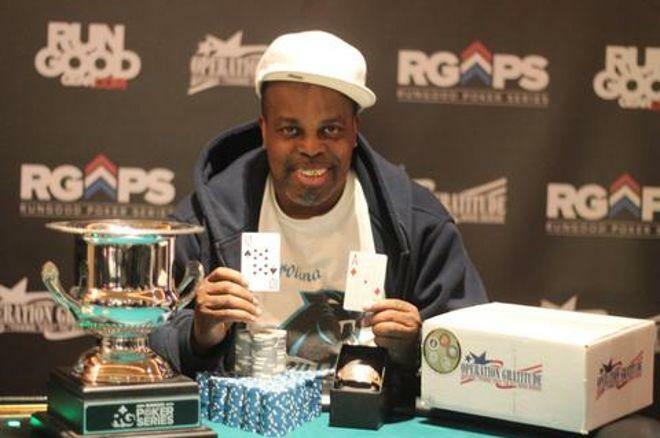 Craig Norals climbed above them all to win the $43,057 first-place prize and the RunGood Cup. Norals started Day 2 with 25 big blinds and ran it up into contention. The big leap for Norals came when he doubled up with pocket kings on the bubble against ace-queen. From there, Norals continued to chip up and was never in any danger near the final table. The big leap for Norals came when he doubled up with pocket kings on the bubble against ace-queen. The final table started with Norals in the middle of the pack, right where he spent most of the day. Norals doubled up and then eliminated Huey Hulin to give himself a lead he never lost sight of. The double for Norals came when his pocket queens held against Hulin's ace-king. Norals survived a tough three-handed battle and then defeated Jacob Seale heads up to clinch the win. The win is the first for Norals in a major poker tournament and is the largest score of his career. The Jackson, MS boosts his career earnings to over $80,000. This tournament marks the conclusion of the RGPS USA in Bossier City. In total, 100 care packages were shared with troops overseas as part of RunGood's season-long partnership with Operation Gratitude. The next stop on the RunGood Series is in Tunica from April 3-9 for a $100,000 guaranteed Main Event.